A service dog strolls through the isle inside a United Airlines plane at Newark Liberty International Airport while taking part of a training exercise, Saturday, April 1, 2017, in Newark, N.J.
Judging by the holiday rush, pets on planes are no longer an anomaly. Although fur-friendly skies can be a relief to people who would have otherwise had to leave pets behind, not everyone is excited about the shift. Aside from being a source of consternation to those who prefer their flights free of fur, barking, and bulky pet carriers, a specific type of traveling companion—emotional support animals (ESA)—could be potentially harmful for those who have long relied on service animals. Chandler, a licensed counselor who works with therapy animals, says people often confuse service animals, therapy animals, and ESAs. ESAs have no training, registration, or certification, but service dogs—which are trained to perform specific tasks for disabled people, including opening doors and taking out laundry—receive intense and costly training for around eighteen months. Therapy animals also receive training, in order to sense and alert therapists about a patient’s emotional state. Service dogs and therapy animals both require a calm temperament and an ability to handle different people in a variety of situations and environments—ESAs require neither, nor training of any kind. According to Chandler, an ESA letter doesn’t actually specify a particular animal at all, since therapists and doctors, unlike veterinarians, aren’t qualified to evaluate animals. Rather, an ESA letter serves as a recommendation from a health professional that an individual has certain mental or emotional needs and could benefit from having an ESA. Chandler believes that the misuse of ESA letters for “untrained, unruly, unclean pets that are just emotional support animals” creates a bad reputation that spreads to people with service dogs. “One of the things that people who have service animals are afraid of—and I’m afraid of with therapy dogs—is that the abuse or lack of understanding about emotional support animals will start causing some contaminated thinking about therapy animals and about service dogs,” she says. Those misconceptions are reinforced through language used to advertise for sites like CertaPet. A blog post that leads to CertaPet’s website states that ESAs are a “subset of service animals that qualify for the same non-discrimination rules” as “seeing eye dogs with cute little vests.” Neidich acknowledges that the spread of misinformation about emotional support animals is a valid criticism of websites that provide ESA letters, but denies that CertaPet plays that role. In an email, she wrote that CertaPet works with affiliate marketers and that the company tries “to keep them in line in terms of messaging, but they can occasionally go off-message, as they have done here in this case,” adding that she was working to get the content changed. Claiming that an ESA is a service dog is also illegal. Although the ADA doesn’t punish people who make false claims that a dog is a service animal, Texas law classifies it as a misdemeanor with a fine up to $300 and community service at a place that serves people with disabilities. So beyond creating concerns for those who rely on service animals, if you use the letter to bring your pet into the grocery store, it can cause trouble for you too. I doubt any of the women I see in HEB with their little lap dogs with the “cute little vest” will read this. Maybe if HEB would remind them that an ESA is different than a service animal. As the founder and president of Service Dogs, Inc., (www.servicedogs.org) and also a board member of Assistance Dogs International, North America, (www.assistancedogsinternational.org) our trade organization, I can tell you that we in the Assistance Dog industry are very dismayed by the abuse of accessibility laws by people who just want to get away with taking their pets into public. Poor behavior by untrained animals and their owners hurts the legitimate people who have legitimately trained Guide Dogs, Hearing Dogs, Service Dogs and the like. Even Emotional Support Animals are supposed to be under the control of their handlers. 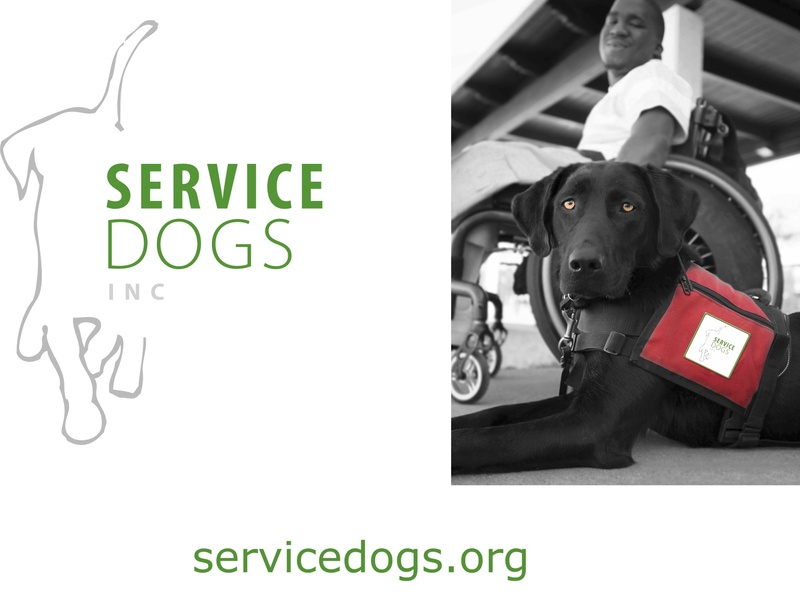 Service Dogs, Inc. has created a presentation and resource materials explaining the various laws on the topics and addressing canine behavior. Journalists typically consult us on these types of stories, as we have been around 30 years and have been involved in the legislative process throughout. Well, there is regulations of service animals either. You don’t ever have to prove your dog is actually trained. You don’t have to pass any tests. You don’t need a note. The whole Service Dog industry is the the Wild West. At least with an ESA, you need a doctor’s note. Other people with Service Dogs (not psychiatric service dogs) can just walk on the plane without any proof. Credible verbal assurance. Like anyone would question a person. Hundreds of thousands of dogs fly a year. One incident does not make a problem. It’s cute that you think the one example they wrote about is the only incident. I hear of, on average, four or five incidences a week, though most aren’t as serious as the one in this article. Does that meet your criteria of “a problem”? I have a diabetic alert service dog. She has saved my life twice by alerting on my low blood sugar before I had a seizure. She is trained to ignore other dogs, sit quietly on her “nest” which is her blanket, and pay attention to what is going on with me. When we fly she lays on the floor in her nest. We have been in a situation where an esa came after her in a grocery store. She only weighs 5lbs so it was a very frightening experience. Registering an emotional support animal is not legally recognized by either the airlines or apartment managers. The only documentation that qualifies a person to have an emotional support animal is an ESA letter from a licensed mental health professional. Please, if any legit Service Dog teams are reading this, please raise as big a stink (legally and peacefully, of course) as you can about CertaPet. They, and other scam organizations like them, are doing a lot of harm to the disabled community.